The common belief that homes prices rise during the summer months because everyone wants to be settled in before school starts is true. The facts show us that the highest prices concentrate around the month of June. 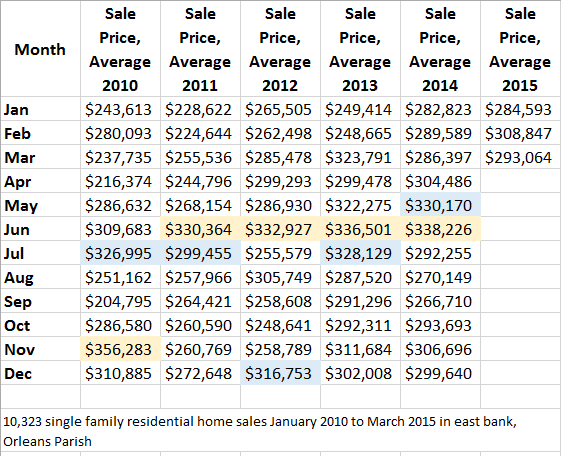 Using the Multi List Service from the Realtor database, home sale prices can be sorted by month, as shown in the table below in a sample of 10,326 single family detached home sales. The highest price month is highlighted yellow, and the second highest price month is highlighted blue. 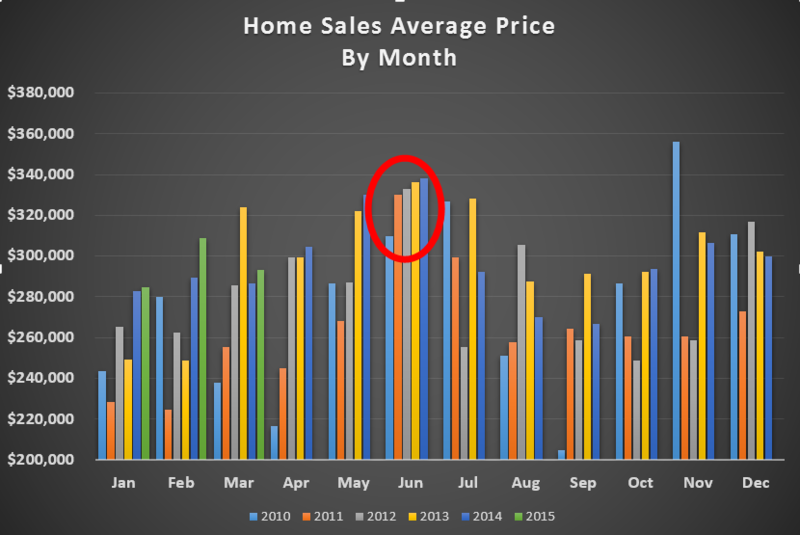 The results show in all but one month since 2010, the highest average price for homes sold occurred in June, and in the second highest price in 3 of the last 5 years occurred in the month of July. The concentration of homes sold in June can easily be seen in the chart below because almost every year it is the month where prices reach their highest level. Source: GSREIN MLS database, Stats customized by average sale price and exported. Note: Average sale prices were used. Results differ if median sale prices are used. For prices on commercial real estate, click here for charts of current list and lease prices on Industrial, Retail, Office & Retail sectors.